Love this quote from none other than OPRAH! One of my favorite reminders and something I wanted to share with ya'll on this Tuesday morning. We definitely choose who we surround ourselves with and how we spend our time and with whom, and seems common sense that it should be with people who lift us up rather than bringing us down, right? Wish it was always that easy, but I know for me, I certainly have found many instances in which this is not the case. 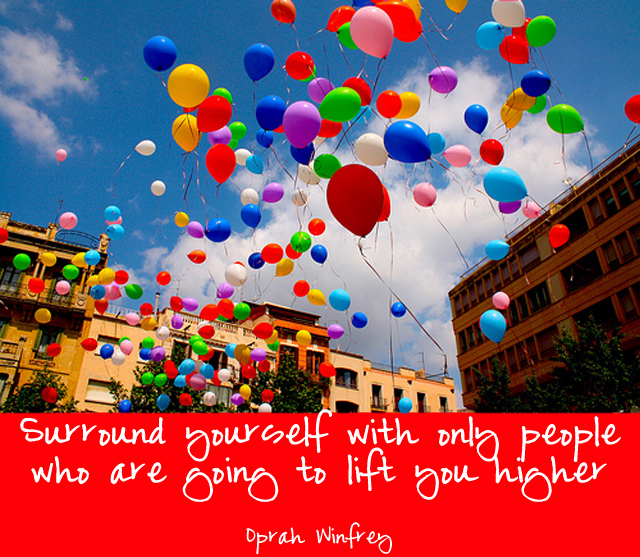 Hopefully if you recognize these kinds of people in your life, this quote will serve as a reminder that you have the power to spend your time with different people who bring out the best in you and as Oprah says, "lift you higher!"